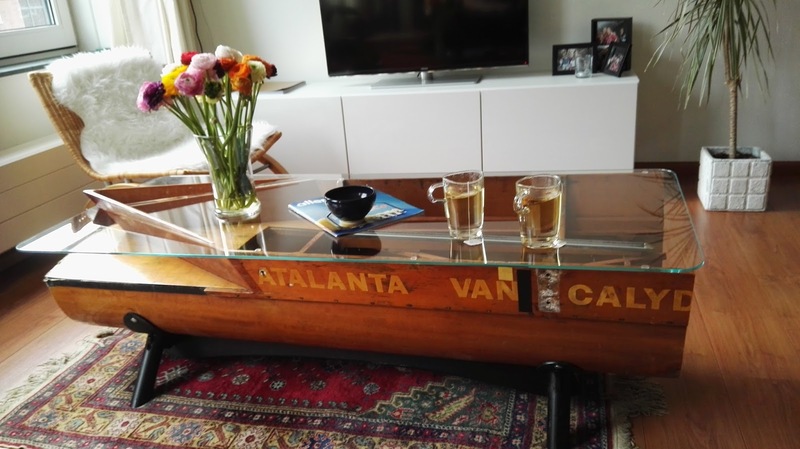 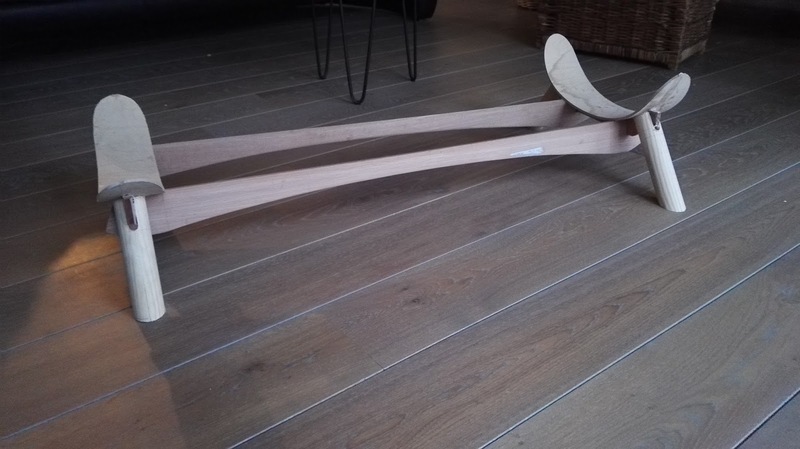 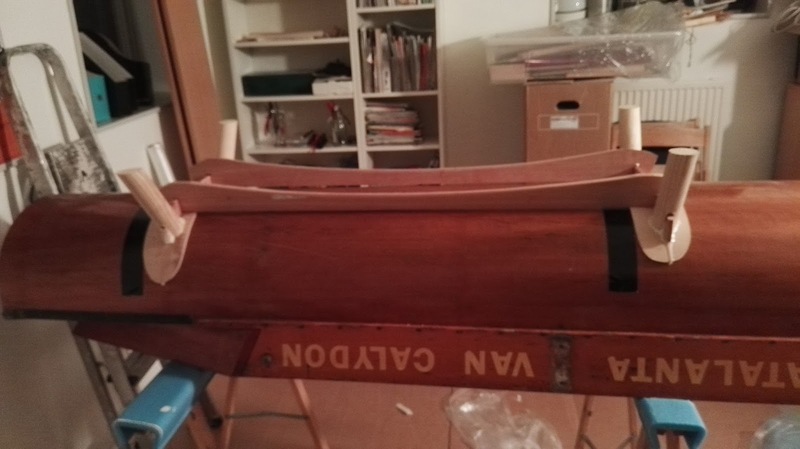 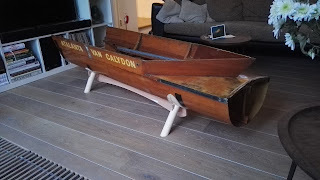 A couple of years ago my brother gave me the remains of a wooden rowing shell "ATALANTA VAN CALYDON" of the rowing club Aross.. 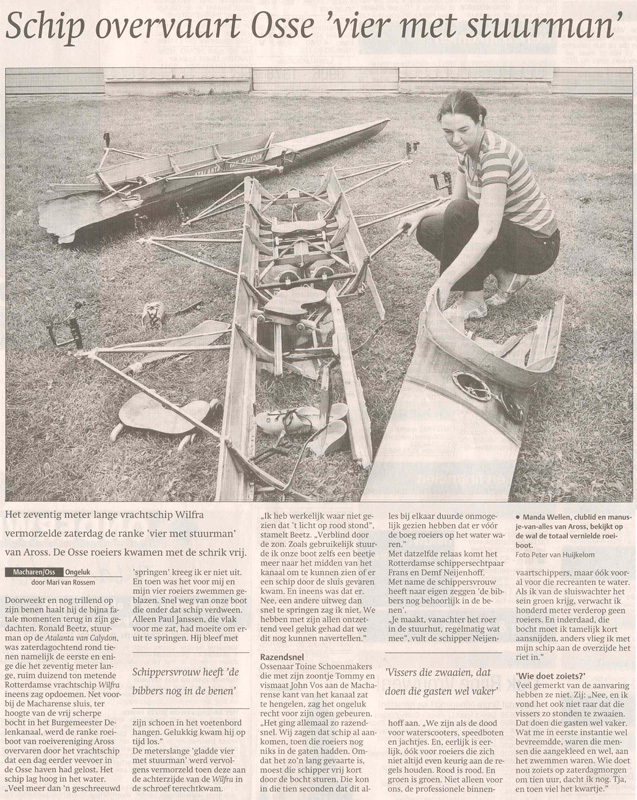 This shell was wrecked in a potentially fatal accident, see the Dutch newspaper story at the end. 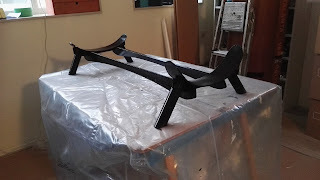 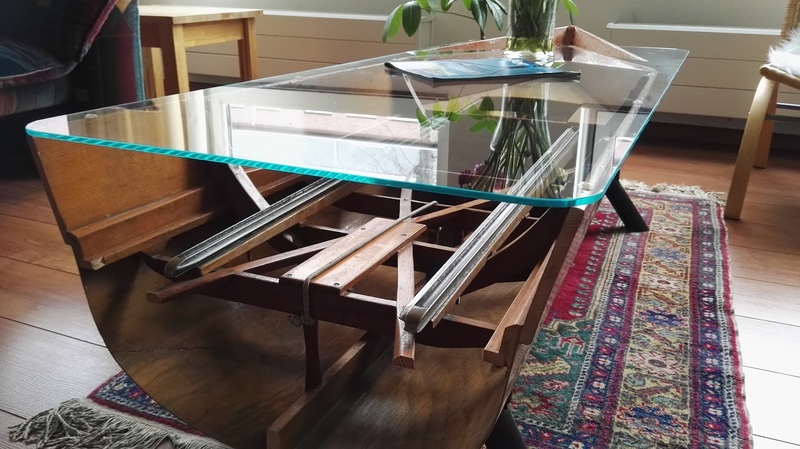 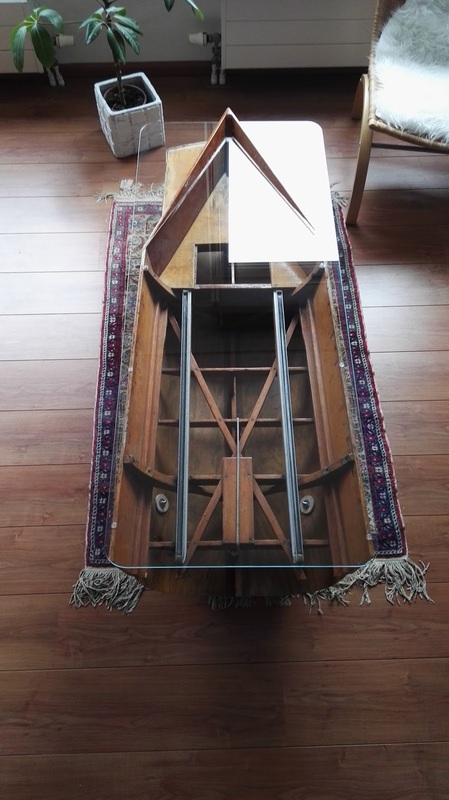 After many years lying in the attic of my workshop, at last I made the wreckage into a livingroom table for my son and his gilrfiend. Both are avid rowers and well known in student rowing, for Utrecht's ORCA. 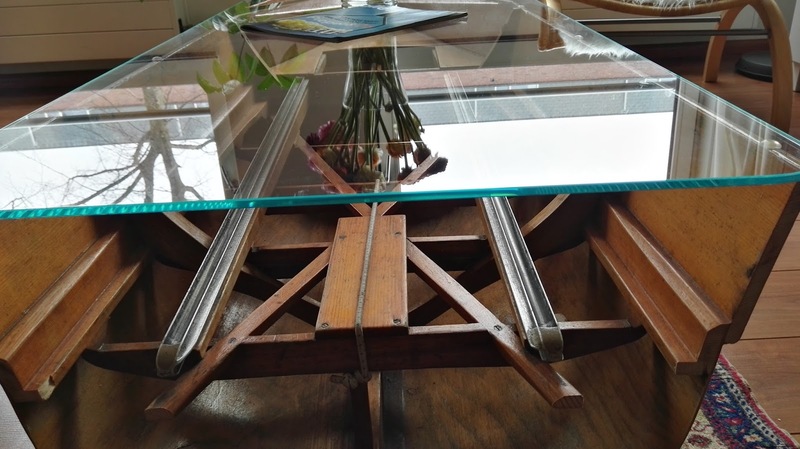 Hope the table inspires you to make something nice of wreckage.